More things to brighten the home. Way to inject some freshness into your home! Use these things to express your personality.... For example.. Personally I love chintz! It makes me very happy! 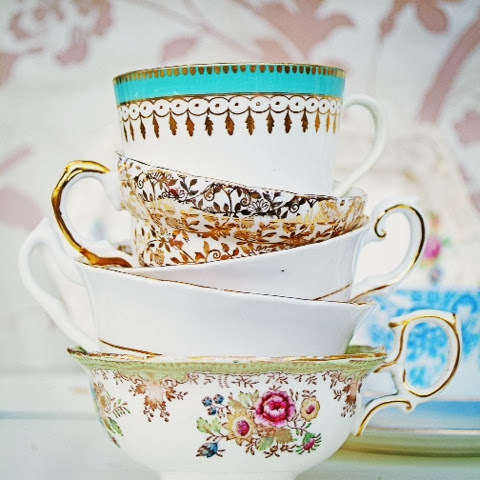 So I display all of my beautiful china around the home. Bottle that and put it in your home? Think art.. Cushions and throws.. Limiting, instead I like to move them around and prop them up in places..
Now I'm going to tell you something that may shock you.. 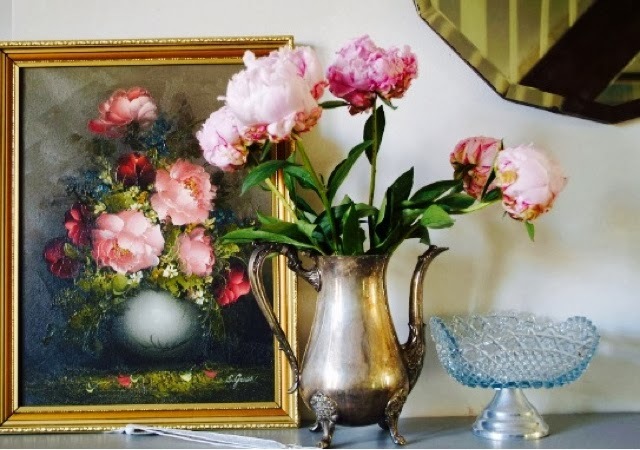 This picture, the coffee pot and beautiful glass dish came to under £10.00! 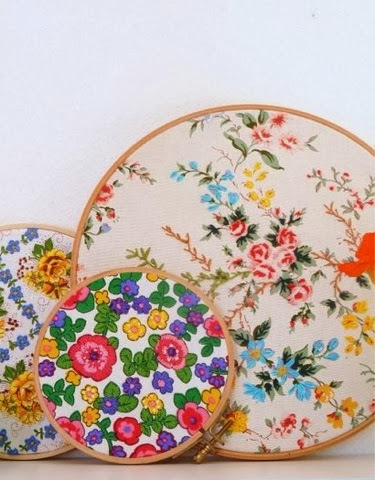 These lovely embroidery hoops that are displaying vintage fabrics. Now it's just deciding what fabric to use.. Hmm..
Now go and get thrifty and crafty to make your home bright.